Zach was passionate about sciences and the environment and knew he could make our world a better and more sustainable place through his research and involvement at Carleton University. 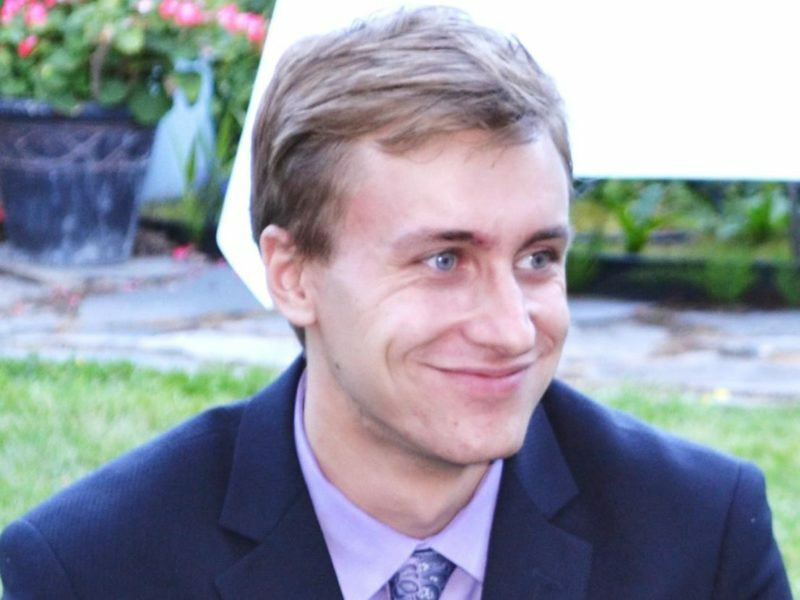 Sadly, Zach passed away suddenly in December, 2017 at the age of 25, just months shy of graduating from his Master’s degree of Applied Science in Sustainable Energy Engineering. Upon graduation from high school, where he was awarded the peer-support award for helping fellow students, Zach knew exactly what he wanted to do. He would pursue Engineering at Carleton University. He decided to study sustainable and renewable energy engineering (SREE). This decision came from Zach’s deep concern for our planet’s future. Zach became involved in the Carleton University Green Energy Symposium where he focused his energy on communicating complex sustainability issues to anyone and everyone who would listen. He was also part of Carleton’s 2013 Solar Decathlon team. The Solar Decathlon is an international competition made up of ten contests that challenge student teams to design and build full-size, solar-powered houses. Carleton University won first place for engineering in the competition. Zach possessed a brilliant, inquisitive mind, always searching for answers and willing to share his knowledge with others. Some of his peers remarked on how they would not have passed certain undergraduate classes if it wasn’t for Zach. In June 2015, Zach graduated with his Bachelor of Engineering with high distinction. But beyond his academic achievements, Zach’s essence was one of kindness, honesty, and patience. At his very core, he was the gentlest person one could have ever wished to meet. Those who had the honour of knowing him, of being his friend, know that a piece of him will forever be with them. The Zachary Burgoyne Memorial Scholarship in Sustainable and Renewable Energy Engineering is awarded annually on the recommendation of the Chair of the Department of Mechanical and Aerospace Engineering to outstanding students proceeding from one year to another in Stream A or B of the Bachelor of Engineering in Sustainable and Renewable Energy Engineering. Preference will be given to students with an interest in helping others as exemplified through excellence in peer-to-peer assistance. Endowed in 2018 by Jonathan and Sari Burgoyne in loving memory of their son Zachary Burgoyne BENG/15.